I was asked for more details regarding the blocks I made for this quilt. The squares are all cut 2 1/2 inches. The setting triangles along the sides started out as 4 1/2 inch squares that I then cut twice on the diagonal as shown. The corner triangles were 3 inch squares cut once on the diagonal. After piecing the block, I trimmed it up to 12 inches for a finished size of 11 1/2 inches. Some patterns/tutorials for this block have you use squares or rectangles along the edge and then trim them off when squaring up the block. This gives bias edges to your blocks, something I loathe. Bias edges can be eased to fit, but they are unstable. They can easily be stretched out of square, especially when long arm quilting. And if I may go on a bit of a tangent here….. 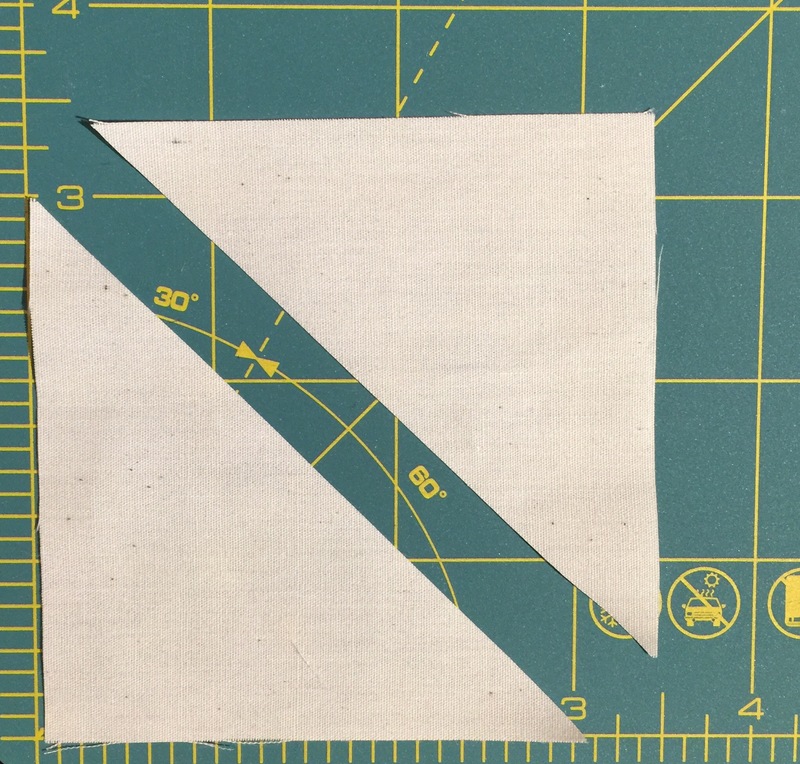 I really dislike the method of making half square triangles in which you take two squares, sew around the edges, and then cut diagonally twice to give you four half square triangle blocks. This method is used in many Missouri Star tutorials. It is a clever use of fabric, but those bias edges! Ugh! It takes a careful, skilled quilter to properly add borders to a top that has all bias edges. More often than not, wavy borders are the result. As a long armer, wavy borders can be a real pain in the back side. Also, the tension on the quilt top in the frame can make it easy to pull those blocks out of square. Your mileage may vary. I know many of you love this method. This is just my opinion. I have much better success when the edges of my blocks are all on grain. I’m glad to read your perspective on bias edges on borders. I’ve always thought they would be a pain to work with and have never tried them for that reason. I think I’ll stick with straight grain on borders. No, I don’t ever make my HST that way, if I can avoid it! Sometimes if I need really small ones, but I don’t like working with the bias edges, and I don’t like the possibility of stretching, even a little. All the same, your blocks are lovely. AMEN! I would sew a basting stitch around that puppy before putting a border on. Those bias issues have caused me a lot of heartburn! Couldn’t agree more about avoiding bias cuts on the outside edges of blocks and quilts. Although I am making a quilt using the ‘tube’ method of piecing so all the blocks end up on the bias. Spray starch has proved invaluable – I starch the pieced tubes before cutting and the blocks and borders fit together without waving. I too hate the Missouri Star half-square method that results in all bias edges. Fortunately, I buy yardage and not precuts, so I don’t have to resort to her methods. 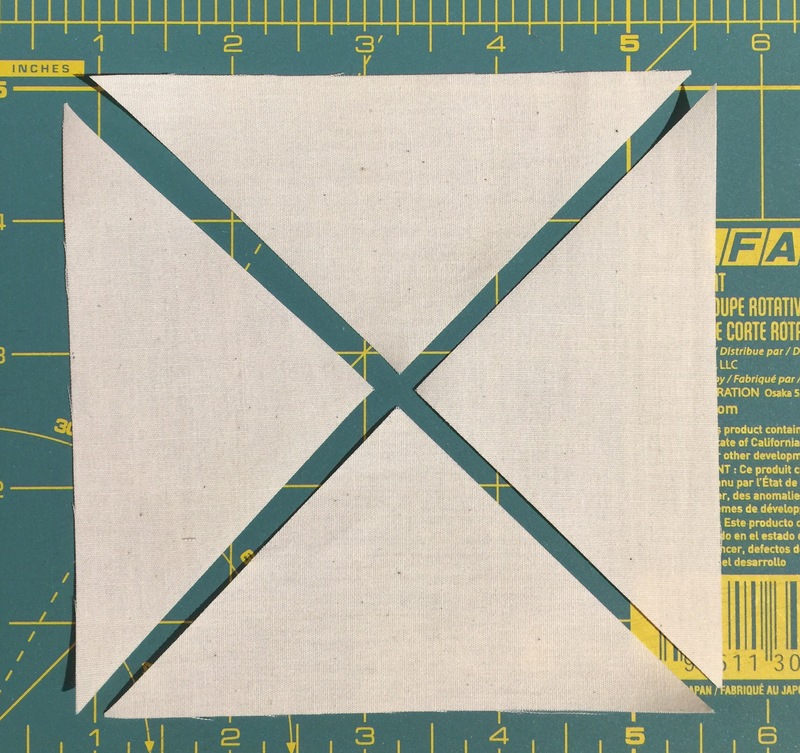 Is is still difficult for a longarmer to quilt if there is a straight-of-grain border framing all that bias? Thanks for the “tute”. I think I will pin it. I cringe every time I read an instruction for a “fast” method of piecing that results in all bias edges. 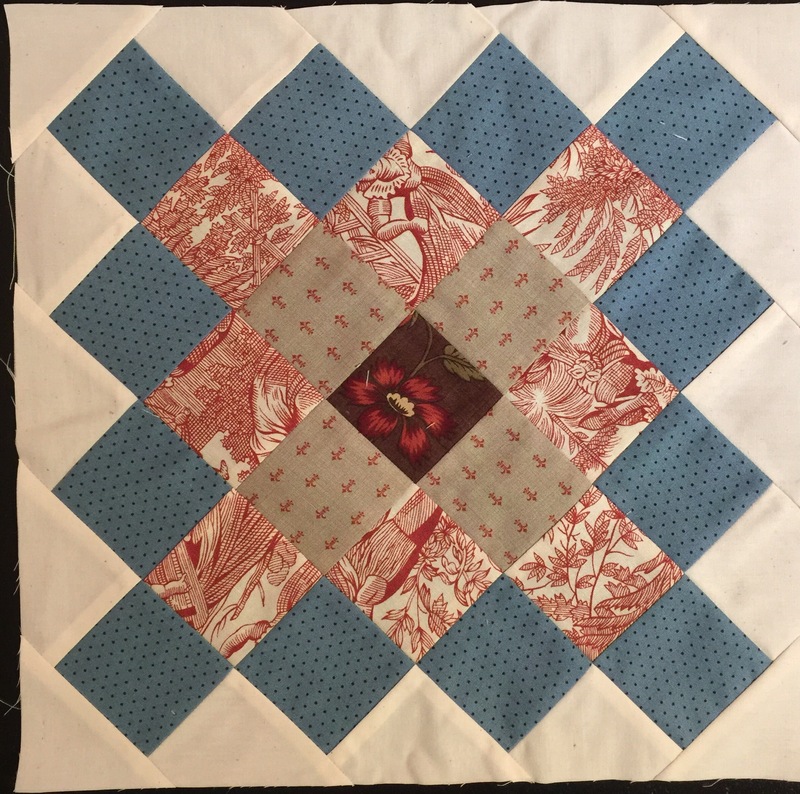 I like the way you are making this block and it is one of my favorites but I have never made a whole quilt of that block. Thanks for giving the details on this block. Previously, I had only seen the method of trimming the edges leaving those bias edges. I am with you on avoiding those. Thank you for sharing your method in making these blocks! Katy, I agree with you about the bias edges. I use a method that doesn’t have bias edges and I don’t understand why the other method is so popular. I’ve had too much trouble with stretching to use it for more than a few blocks in a quilt. So agree with you on the bias edge discussion, from a piecing point of view. Hadn’t considered as much the impact of the longarmer, but that makes a lot of sense! Another reason to look for another way to get the same result. Such a lovely block and the quilt will be stunning. Thanks for sharing your measurements with us.